You have done amazing things! Wow, looks great all laid out like that. Lots to be proud of! Tina, this new About Me section looks great! I love the links to all of your writings. Great work! Amazing!!! And the reason why you get down about your blogs and work some days is because??? Just look at this long long CV 🙂 Keep it up! wow! 2010 looked busy! 2011 will only bring more 🙂 Great blog and writing samples! Can’t wait for the book! You have a lot to be proud of… your dedication and devotion shows in your work. Well Done! I live in NYC and go to NYSC. I know they offer bodypump in Boston, but I was wondering if you knew any other equivalent (and fun) classes. Congrats on the upcoming release of your book. So very exciting and I can’t wait till it arrives (I pre-ordered it today). Question I am coming to Boston in two weeks and wanted to know what would be a top pick of yours for restaurants (think romantic as I am going with my husband and no kids). I was given your blog by our Team in Training coordinator and I love it! I have just started blogging about my own journey with training, as well as my love for food and my inability to cook it. I started the blog for exactly the same reason you did; to keep a journal that will help me stay focused. It would be great if I could appeal to a larger audience to share my experiences with, but for the meantime, I like that it keeps me connected to my goal. Not to mention, through blogging, I’ve enjoyed learning new information through other amazing sites, such as your own! Thanks! Everything you have done with blogging is very inspirational. I can’t wait to start following you! hey Tina! I just wanted to say that I have been a reader of your blog for years, and I just wanted to let you know that among all the blogs I read, I love yours the most. You are so honest, open and I can relate to everything you write about. keep up the great work! Hey Tina I just thought it was about time that I left a message.. I’ve been reading your blog for probably 6 months now and I love reading about the kind of delicious and nutritious food you’re eating while still actually letting yourself eat good stuff! It really is motivational to read about your relationship with food and exercise since it’s something that every woman struggles with. I appreciate your blog even more now that I just ran into another blog that was shocking. This woman looked seriously like she has some type of eating disorder and talked all about dieting and being (overly) fit. I think that’s a horrible thing to put out on the internet when so many woman have their own issues with it and then this woman is showing how if she can do it so can you. I love to read about your healthy lifestyle and all the bomb food you’re eating! Keep up the good work and sending the positive message out about food and health! What would most of us do without the presence of the amazing strategies you talk about on this blog? Who has the persistence to deal with essential topics with regard to common subscribers like me? My partner and i and my girlfriends are very lucky to have your blog among the ones we generally visit. We hope you know how considerably we love your working hard! Best wishes from us all. Do you have a blog roll? You posted something the other day about how you read mainly running blogs now a days. I would love to know some of them. 🙂 Thanks! Love your blog btw. Hey Kath! I live in Boston as well. I came across your blog and love it. I am becoming a certified health counselor and am also getting into blogging myself. Will definitely keep on reading your blog! Thanks! OOPS! I meant “Hey Tina!” so sorry! I love your blog, can’t wait to read more! Your blog was a new find of mine and I spent about 3-4 hours just reading and catching up on all of your posts yesterday. You seem awesome and Murphy is fantastic. I can’t believe pugs can run 5K’s! I always thought their noses were too short for that, causing respiratory issues! Way to go Murphy! Congrats on the book! I had to check out your site when I saw the title…too cute! Hi Tina! I just found your blog today and I am SO excited to add you to my RSS feed. I did your 45 minute treadmill workout on Saturday that a friend sent me and it was amazing!! Tina, I absolutely love your blog! As a PhD student in New England, I love waking up every morning to read your lovely posts. Your prose is readable, earnest, and so refreshing! And I appreciate that you never talk down to your reader; it’s as if you’re talking with them, in a casual conversation about the hum-drums (and exciting events!) of everyday life. My boyfriend and I are trying to live a healthier lifestyle, and even he requests recipes “from that one Carrots website”. I am also a New England newbie (born and raised in California! ), and I take note of all the fun New England events and traditions you partake in. (Like, apple-picking…..I’ve never seen anyone do that on the West Coast.) I am going to visit Newport soon! Thanks for the fun blog! Wow! I just found your blog and have spent over an hour looking around. I love your attitude towards food, health, life, etc. I just started my own blog and bloggers like you are an inspiration!! Hi Tina! I’ve come across your blog a few times now and have been reading regularly for a few months. I’m a Boston blogger (although rather new and getting started…2 months is today!) and an avid runner here in Boston. I blog at http://liverunloveyoga.com! I hope you’ll stop by and take a look! I’ve been very interested in trying to meet other area bloggers here in Boston and joining into the community! If you have any advice it would be greatly appreciated and maybe I’ll see you around town soon! i can’t tell you how inspired i am- as a new blogger i really needed to see this!!! your site is awesome and totally identifiable. i’m such a fan! Just stumbled across you site. Looks great…I’ll be a regular! Love the blog dogs! A fantastic blog! Congratulations, you’ve done a lot and you should be proud of! Hi Tina! I just stumbled across your blog because someone else left my site on your Whole9 post and I saw the linkback. I have UC too and like you did SCD. I have kind of transformed my diet more towards a Paleo diet in the last couple of years but still follow a few of the things I learned from SCD. Looking forward to reading more from you! Hi! A bunch of people left me links to your site! Do you mind me asking why you eat more of a Paleo diet than SCD? I’m still trying to figure this all out and would love to hear your experience! I started seeing an ND after having a big flare and the intro diet not working. 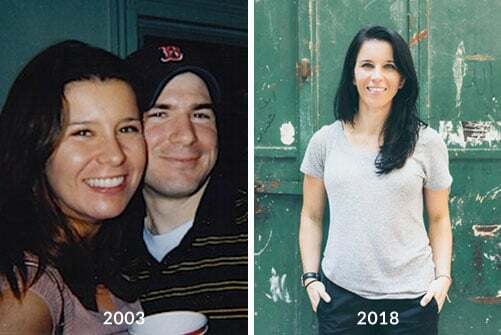 She took me off of a bunch of stuff that I was eating daily on SCD and it just happened to look more like the Paleo diet. I was intolerant to all dairy – cow’s and goats, which explained why even the SCD yogurt was making my stomach hurt. I went off of it for about a month and reintroduced a few cheeses here and there but I really don’t eat much dairy at all anymore, and when I do I try to do grassfed and raw. I also adopted all of the nutritional/health ideas that more Paleo people have – i.e. grassfed, organic etc. I just started feeling like the Breaking the Vicious Cycle book was outdated and that it wasn’t specified enough for each person. I still believe that it helps a ton of people and that it was a stepping stone to get me to where I am today so I definitely don’t think it’s bad in any way. Hi there Tina! Just want to let you know I absolutely ADORE your blog (and book, I have that too!). I enjoy reading your posts everyday and you inspire my journey to become my fittest, healthiest self! I have nominated you for the Sunshine Award because you bring a ray of sunshine to my day! Thanks so much for sharing! Your blog is hard to stop reading. I keep telling myself to go find something to buy on Amazon, but I keep reading and going to some other post. Thanks for the great info/content. I am a full time office worker in accounting where my wife works and does the same thing. We are planning on having a kid soon and have decided since I’m the cook and really don’t enjoy the office setting, I will stay home when the time comes. I’m interested in your PT certification and any advice you have for your writing gigs. How did you get into it and are there any ways for a newbie to get their food in the door? Really just anything you care to share is much appreciated. Again, great blog and I too am a convert from the monotony of running (10 marathons + a few half marathons + 10ks) to focusing more on strength and using intense cardio sessions like CrossFit WOD’s. It’s great to see your success and read your workouts!